ONCE IN A LIFETIME OPPORTUNITY TO OWN A GATLINBURG LANDMARK! 2.71 ACRES ZONED C-3 IN THE CITY LIMITS. 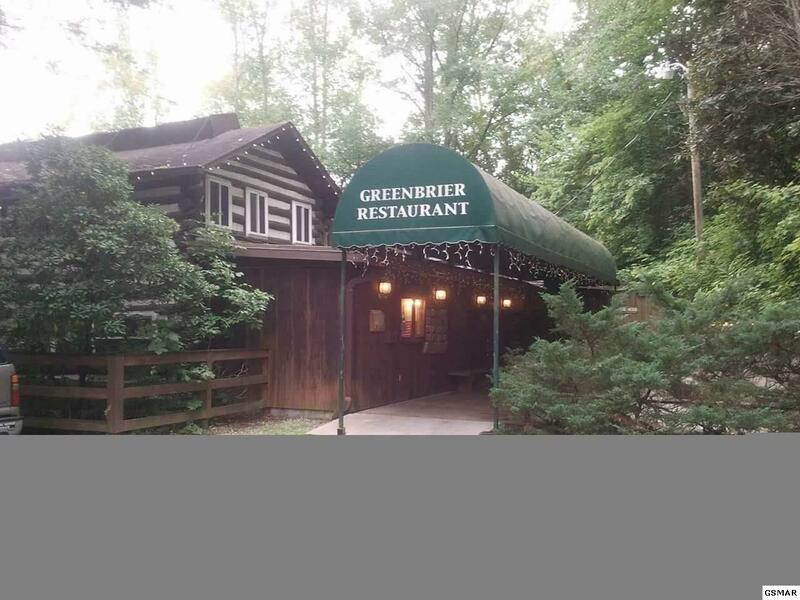 GREENBRIER LODGE WAS ORIGINALLY BUILT IN 1939 AS A LODGE/BED AND BREAKFAST FOR HUNTERS AND HIKERS AND CONVERTED TO A MOUNTAIN LODGE DINING FACILITY IN THE 60'S. TUCKED AWAY AT THE END OF NEWMAN RD, FEATURING 2 FIREPLACES, COZY BAR AND PRIVATE DINING ROOM FOR SMALL PARTIES, THIS PROPERTY CAN BE PURCHASED AS A TURN KEY OPERATION.